In a taxpayer-friendly move, the government has directed income tax officials to issue refunds in cases where outstanding arrears are up to Rs 5,000 without any adjustment. In an initiative to reduce taxpayer grievances and enhance taxpayer satisfaction, the Central Board of Direct Taxes had issued instructions to the Central Processing Centre (CPC), Bengaluru and the field officers in December to issue refunds of amounts less than Rs 50,000 expeditiously. “In order to further expedite the process of issue of small refunds, CBDT has also directed CPC-Bengaluru and the field units that refunds up to Rs 5,000, and refunds in cases where outstanding arrears are up to Rs 5,000 may be issued without any adjustment of outstanding arrears,” said CBDT, the apex policymaking body of the Income Tax Department. As a result of the special drive to issue smaller refunds in December, as many as 18,28,627 refunds below Rs 50,000, involving a sum of Rs 1,793 crore, have been issued between December 1, 2015 and January 10, 2016, CBDT said. These refunds relate to assessment years 2013-14 to 2015-16. In another statement, CBDT said reducing litigation with the taxpayers has been a key focus area for the Income Tax Department. “Several initiatives have been taken by the Central Board of Direct Taxes in the last three months up to December 2015 to significantly reduce disputes and provide relief to taxpayers facing long standing litigation,” it said. The significant steps taken by CBDT include issue of a circular revising the monetary limits for filing of appeals by the department with the objective of reducing litigation as a part of its initiatives to reduce grievances of the taxpayers. CBDT has also directed principal chief commissioners to constitute a collegium of chief commissioners of income tax to consider withdrawal of appeals filed by the department in cases involving tax effect above certain monetary limit. 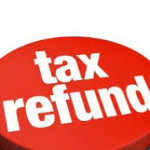 Many times taxpayers don’t get Income Tax refund on time and they curse the Income Tax Department for the delays. On the contrary, it has been observed that in majority of cases, the mistakes are on the part of taxpayers themselves that causes delay in processing of Income Tax Return (ITR) and issuance of refund. So, let’s learn what measures one can take in order to receive Income Tax refund quickly. 1. File your Income Tax Return on time: People who file their Income Tax Return on time get their Income Tax Refund (if any) quickly as their Income Tax Return (ITR) gets processed on time. Thus, it enables the Income Tax Department to release their refund (if any) directly to their bank account. Although the last date of filing of Income Tax Return for the financial year 2014-15 has been extended till 31st Aug 2015, it is advisable to file Income Tax Return as early as possible as this will lead to quicker processing of your Income Tax Return. 2. File your Income Tax Return Online: From June, 2015, Income Tax Department (ITD) has made it mandatory for people seeking Income Tax Refund to file their Income Tax Return online. So, please make a note to e-file your Income Tax Return for this financial year if you were not doing it in previous years. Failing to do so, will debar you from getting any Income Tax Refund. 3. Crosscheck the TDS/Self assessment tax paid mentioned in Form 16 with Form 26AS: It is very important that you crosscheck the details of TDS (as mentioned in Form 16 or Form 16A) or Self Assessment tax or Advance Tax with Form 26AS. Actually the income tax authorities take the figures of Form 26AS as final for giving tax credits to tax payers during the processing of income tax return. Crosschecking of Form 26AS is done to assure thatassure that the figures of Form 16 corresponds with the figures mentioned in form 26AS which26AS that finally results in claiming tax credits smoothly. 4. Choose the right ITR form to file Income Tax Return: Make sure that you choose correct Income Tax Return form to file Income Tax Return. People often file their tax return using incorrect ITR form which makes Income Tax Department unable to process Income Tax Return and thus it causes delays in Income Tax Refund. Choosing the right ITR form to file Income Tax Return ensures faster processing of Income Tax Return and thus quicker refundquicker refund. 5. Provide correct TAN no. of TDS deductor: Mentioning of Correct TAN No. of Deductor in Income Tax Return assumes prime importance. You can locate the TAN no. from Form 16 or Form 16A (as the case may be) received from the TDS deductor. If the TAN no. of deductor mentioned in ITR does not match with Form 16 then you may end up losing your tax credits and will deprive you of any income tax refund. You may even get a notice from Income Tax Department for shortfall in taxes. So be very cautious while filling TAN No. of Deductor in Income Tax Return. 6. Provide correct Bank Account details: From June, 2015, Income Tax Department will release the refund directly into the bank account of the tax payer (also called ECS). The earlier option of refund via cheque at the taxpayer’s address has been abolished. So, it becomes very important that one provides correct bank details such as bank account no. , IFSC code of the bank branch, MICR code, etc. in his tax return. This enables smooth issuance of refund by Income Tax Department. 7. Send the ITR-V to CPC Bangalore within 120 days of e-filing: If you have e-filed your tax return without digital signature or without Aadhar card EVC (Electronic verification) mechanism then you are required to send the completely filled ITR-V form duly signed to CPC (Central Processing Center), Bangalore within 120 days of e-filing your Income Tax Return. 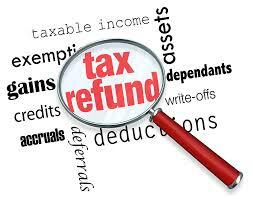 If you fail to do so then your Income Tax return will become void and thus you will be deprived of tax refund. 8. Keep Tracking the Status of Intimation U/s 143(1): Once Income Tax Department gets done with the processing of your Income Tax Return you will receive an email called Intimation u/s 143(1) telling you that your Income Tax Return has been processed. In that intimation mail, you will get information about any tax or interest, you are required to pay to Income Tax Department or any Income Tax Refund is due to you. So, it is very important that you keep an eye on intimation u/s 143(1) as if you don’t receive the Income Tax Refund expected by you, corrective measures can be taken. In an initiative to reduce taxpayer grievances and enhance the taxpayer satisfaction, the Central Board of Direct Taxes had issued instructions to Central Processing Center (CPC), Bengaluru and the field officers in December, 2015 to issue refunds of amounts less than Rs.50,000/- expeditiously. As a result of the special drive to issue smaller refunds, 18,28,627 refunds below Rs.50,000/- involving a sum of Rs.1,793 crore have been issued between 1 st December, 2015 and 10th January, 2016. These refunds relate to Assessment years 2013-14 to 2015-16. In order to further expedite the process of issue of small refunds, CBDT has also directed CPC-Bengaluru and the field units that refunds up to Rs.5,000/-, and refunds in cases where outstanding arrears are up to Rs.5,000/- may be issued without any adjustment of outstanding arrears. Office Memorandum F. No. 312/109/2015-OT dated 14th January 2016, conveying these directions of CBDT is available on the website of the Department www.incometaxindia.gov.in.